2017 Holy Grail Thread. 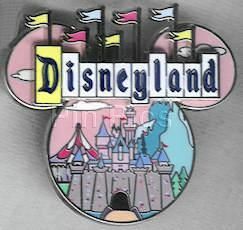 What are your top 5 Most Wanted pins? Discussion in 'Pin Trading' started by starry_solo, Apr 14, 2017. 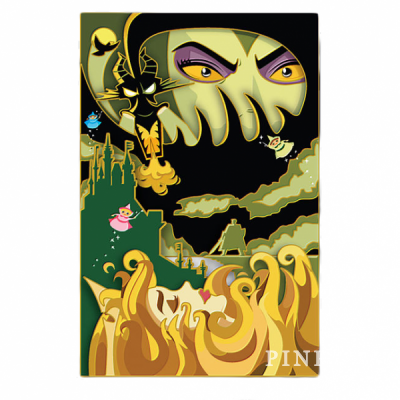 OMG, Pin-A-Colada is online on DPF? I have all my grails now so my signature needs to be updated. Thanks to all that have helped, took many years but complete. Pin-A-Colada-- I pm'd you. 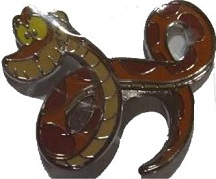 You have one of my super duper HTF pins and I am hoping to trade you for it! Fingers (and toes!) crossed! There are definitely more that will be hard to find and probably worthy of calling them grails. I enjoy the chase though. Yes, I'm back on for a bit at least. I should be able to assist some members with their grails. Yes, i have your grail. If you go to DOCFISH pin event I'll hand it to you in person. Hmm, I guess I'd better figure out what my top 5 are! Did you check and see if you still had that grail I pm'ed you about? 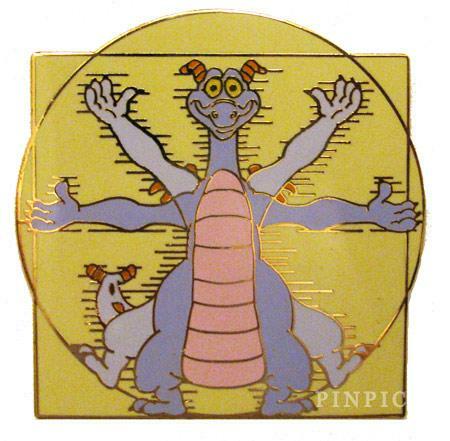 And while not a total grail, I'd really, really like Pin 111612 DSSH - Pin Traders Delight - Claudette, Laurette, and Paulette for my collection. 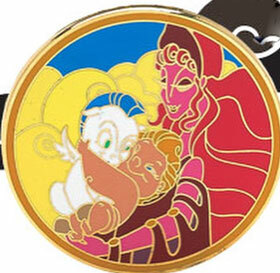 I do have your grail, are you going to Docfish Pin event? I also noticed that I have quite a few of others' grails, but there is nothing I need in return. If you can find some of the above for me, I am ready to trade! No *cries* we don't have the extra money... plus we live in Kansas. 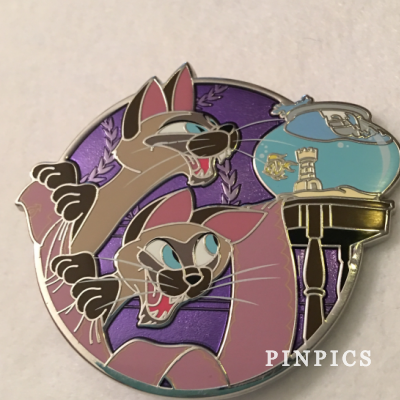 This two pins would pretty much complete my BatB collection! Totally need to make a new signature! I also own some people's grails (me of three years ago is so proud). 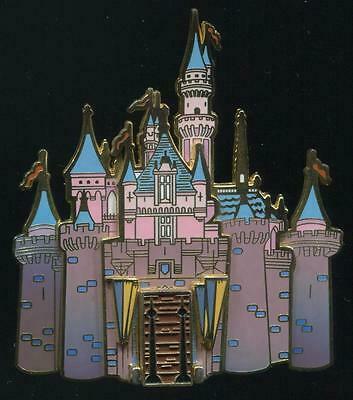 One of those pins that you just feel like you'll never own! Squeeeeeeeeeeeeeeeeeeeeeeeeeee! BUT: I can't go My older daughter's final exams are 3 weeks away from the date of the party and we live in Texas. Can David or Amy stand in for me? And can I send them something to give to you in return? Please!? 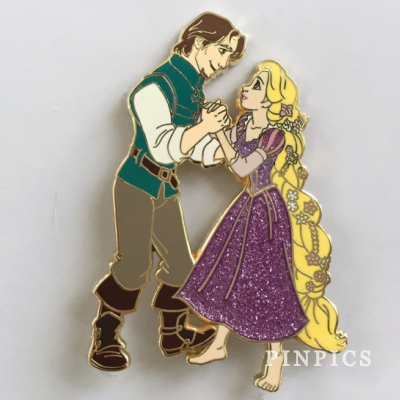 If David and Amy can't do it for whatever reason, I'd be happy to get your pin and send it to you. This one is probably the rarest though? I've never seen anyone with it! Even a kind DPF member with a Tokyo CM friend asked them for me, and it is nowhere to be found! 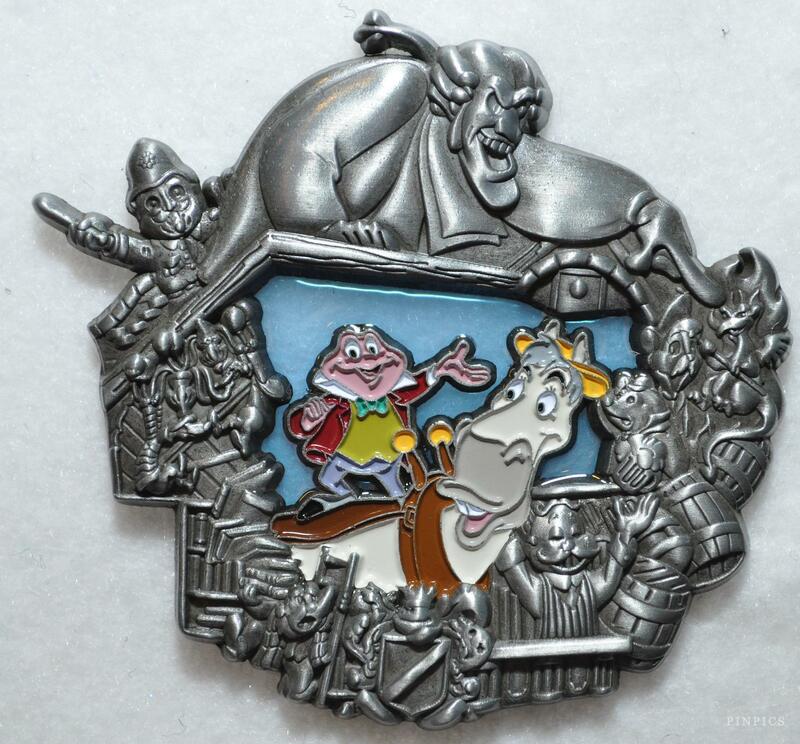 This is the only pin that I know of (other than the recently released PTD) that features Roscoe and DeSoto! 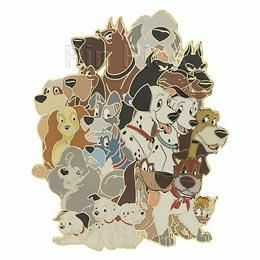 My favorite Disney dogs! 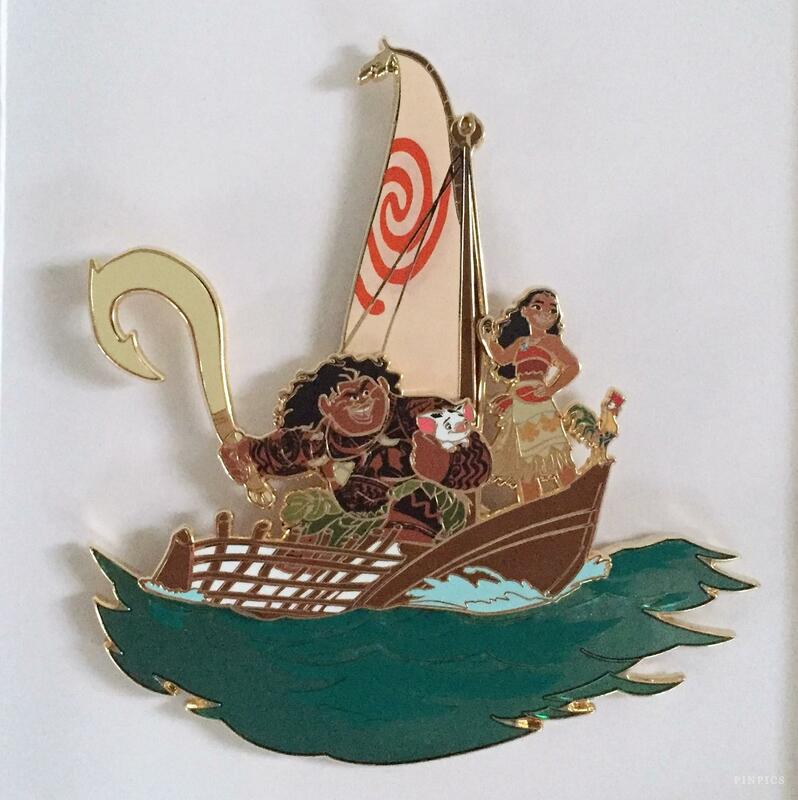 I would love to get a hold of it someday (and pray that they create more pins of the characters)! 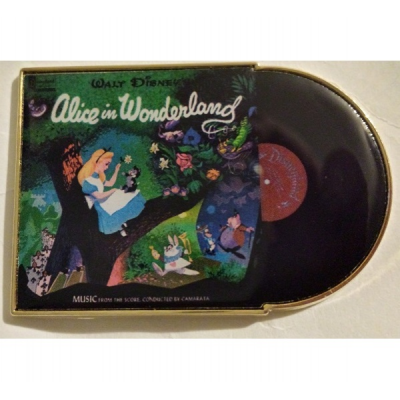 This is another one of those pins that I wished I had gotten sooner. 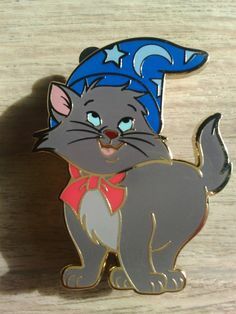 I really do want to collect Berlioz pins, but Aristocats in general seems to be a little too rich for my taste. It's easier justifying big purchases when you already have a large collection established ~ I'm just not quite there with him yet! I cannot really think of a 5th grail right now that is on par with these four to me, so I'll just stop right here, haha! I will forever be on the hunt for these beauties! If you can help, find me on PinPics Bean0331! Here are Trades i have to offer!